The Joys of Escape | how's it going, eh? Aaaaah, I suppose it’s an awakening of sorts. 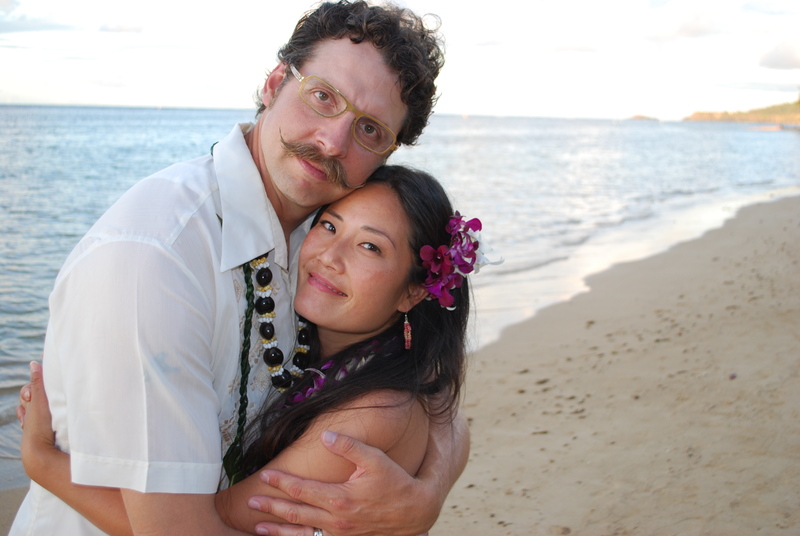 “Coma Shelli” as a friend endearingly coined me is no more – sort of. “Coma Shelli” was a nickname that came about, due to the fact that I did not have a working radio in my car for 3 years + did not have cable or television for about 7 years. I lived under a rock, as they say. Well, guess what?! I have a Kindle Fire now!!!! And how have I mostly been using my Kindle Fire?! 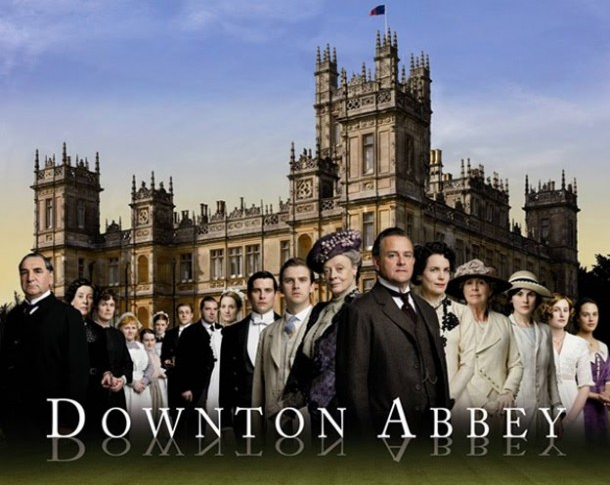 By catching up on “Downton Abbey”!!!!! Paaaaaarty in my brain!!!!!! 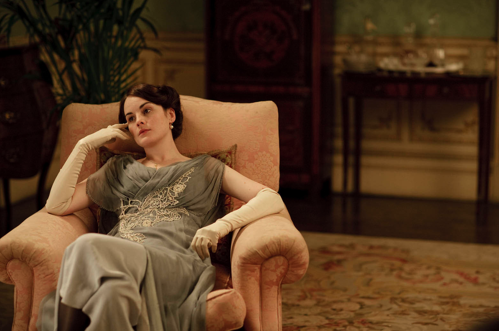 “Downton Abbey” is in it’s second season on PBS’s Masterpiece Classics. Friends have been going on about the series since it’s debut. 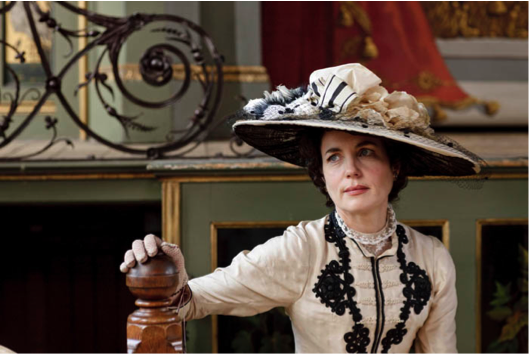 Thanks to my Kindle, now I’m a rabid fan of this period drama!!!! 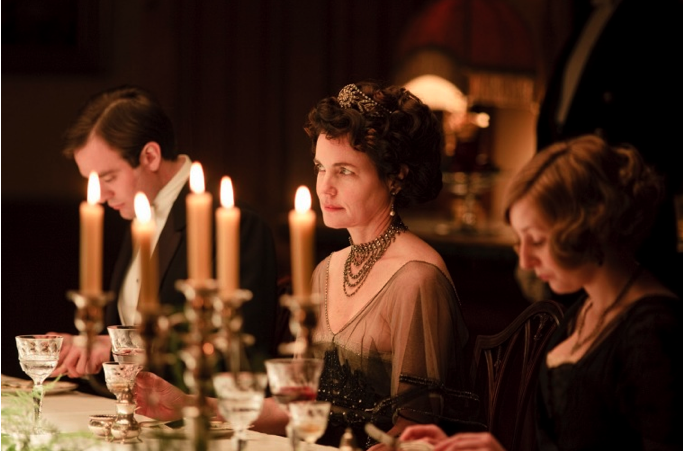 Who doesn’t love a juicy period drama?! 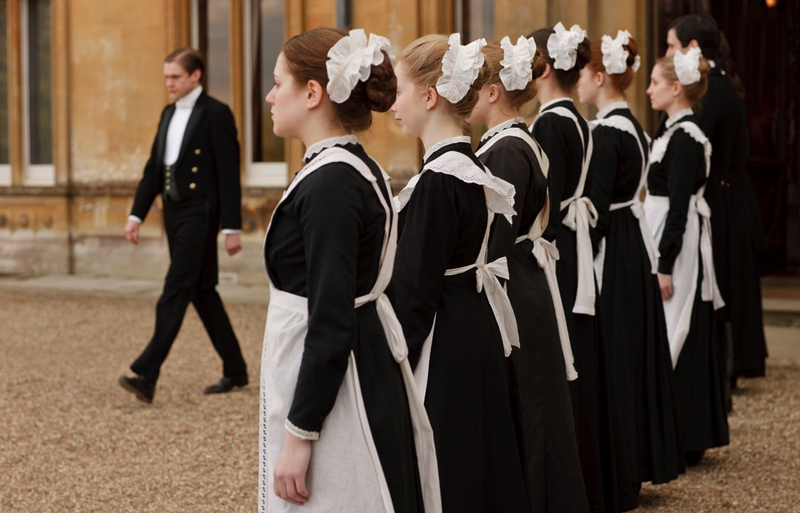 The Grantham’s + their multitudes of servants deliver so much scandal, humor + humanity, I can’t get enough!!! I’ve been watching episode after episode without a break! It’s no joke. I’ve cried. I’ve laughed – everything about the show is perfection. Dame Maggie Smith performs as the house’s matriarch with the kind of snarkiness that I admire. 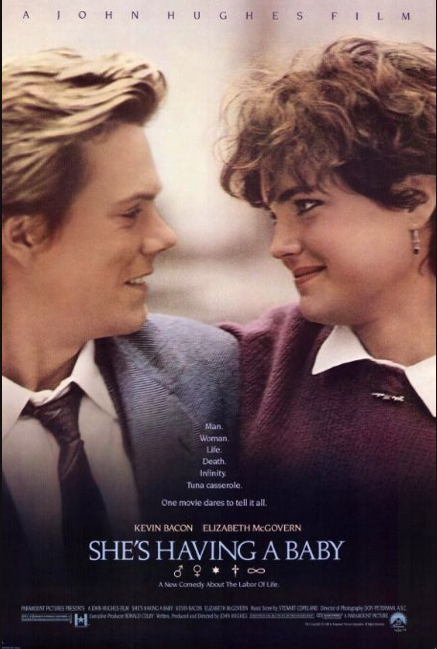 Elizabeth McGovern as the slightly ditzy, protective American mother of the house. She’s so perfect + her voice has such a lilting, Edwardian sing-song quality!!! Do you remember her from, “She’s Having a Baby.”? 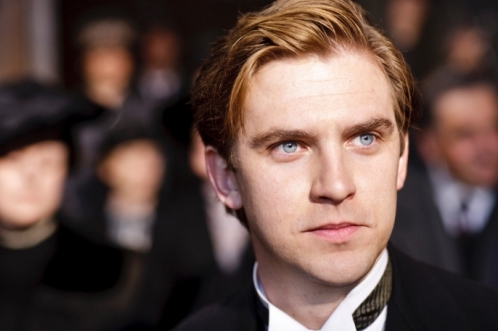 Reluctant, cousin Matthew Crawley, who is to inherit Downton as the sole male heir of the family. 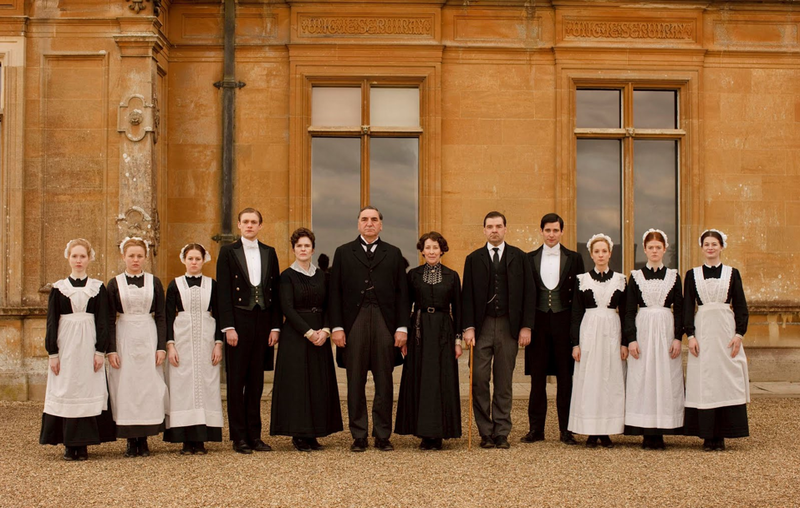 And of course, the staff of Downton Abbey – the heart of the grand house!!!! Their mischief, heartbreaks + dreams for a better life are what keep this amazing show so rich!!! The amazing set decoration, food styling, costumes + exteriors have helped me over the weekend to forget that I have a husband in Canada, while I’m still living in Los Angeles. 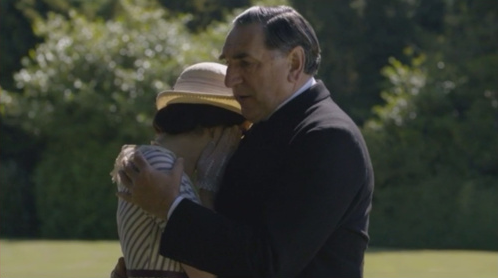 The trusting, unconditional admiration + love between head butler Carson + eldest daughter, Lady Mary always gets my tear ducts going. It is in this bond, where the stalwart Carson + sometimes irritatingly pompous Mary are truly themselves – let their guards down in the roles they feel they must uphold to the outside world. 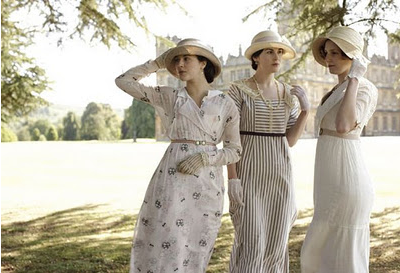 Watch “Downton Abbey”!!! 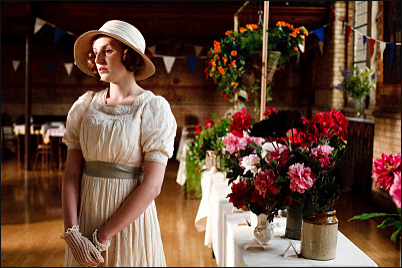 You will not regret it as you are swept away into a velvety, romantic Edwardian world of drama, love, humor + tragedy. ← Random Pop Culture…..May Pang? wow! you have convinced me to record a few episodes on the good ‘ole DVR. I’ve heard other people make mention of their enjoyment of this show but never as rapturously as you have put it down here! Thanks for the tip ‘ole chap! oooooh!!! North + South looks like a good one!!! I’ll have to check that out! Looks right up my alley!!!! 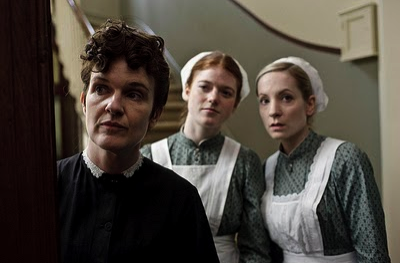 Shelli – Melinda and I feel the same way about Downton Abbey – we watched online, then again (season 2) on the plasma, in free HD from the Buffalo PBS affiliate. Have you seen the Benedict Cumberbatch Sherlock Holmes? Email me if you want links – it is pretty spectacular, too. All these exciting recommendations!!! This is all a whole new world opening up for me!!!! !